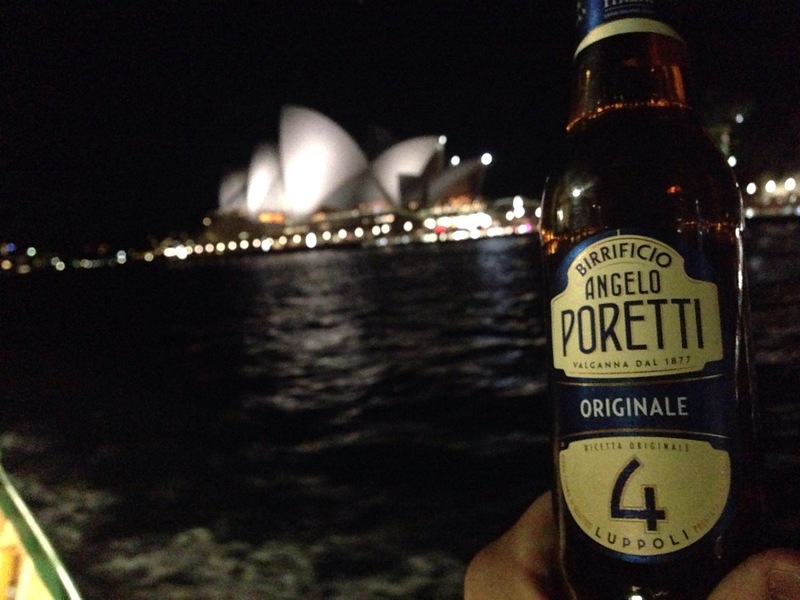 Birrificio Angelo Poretti – Originale. New to Mr Liquor. No, we haven’t accidentally reposted last week’s post. Mr Liquor has clearly fallen for the charms of the NLW sales rep, who according to the sticker distributes Birrificio Angelo Poretti beers. 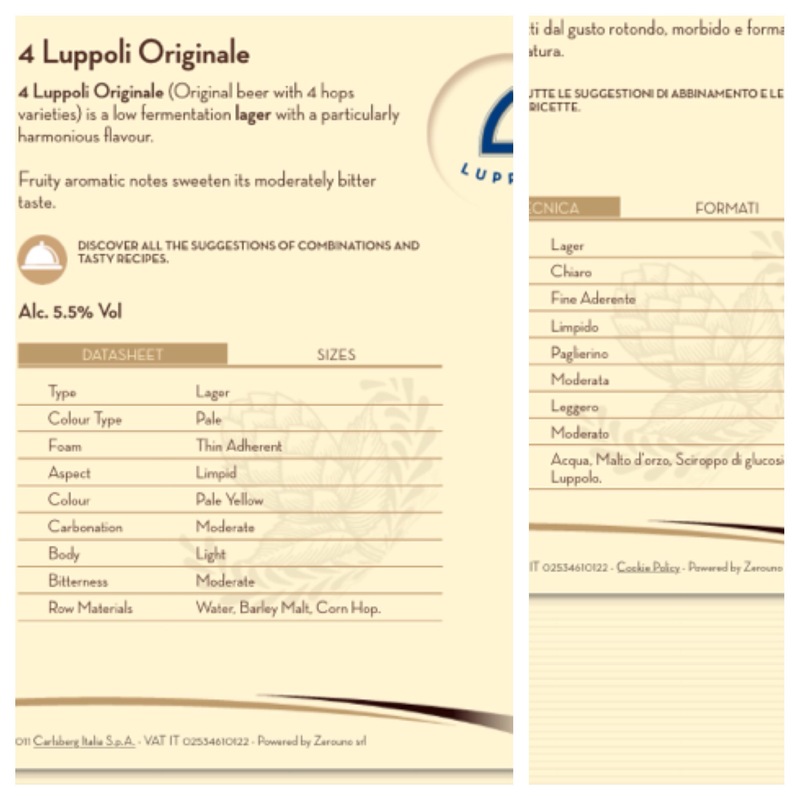 He’s added Originale (4 Luppoli) to his fridge to accompany Tre Luppoli and a couple of other Italian beers. He sells it by the stubbie (330ml) and an attractive 3 pack. Again I’ll let the website provide the brewer’s description. “Thin Adherent” is again not an enticing phrase, but this time I’ve shown the Italian and English wording to give context. The beer isn’t that hoppy. It’s more a Euroswill Malt Bomb lager. Very Menabrea/Moretti. Not the best for a chilly night on the BotF. 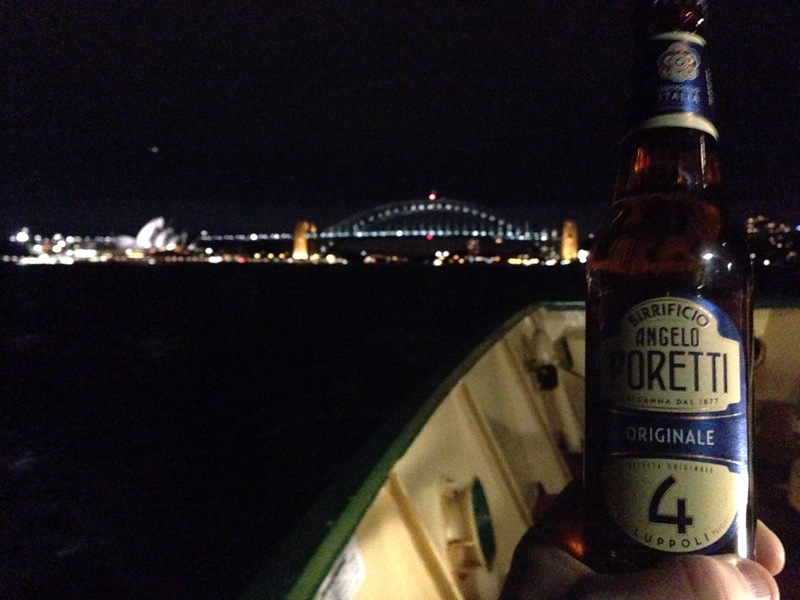 A summer smasher, but all 4 hops have as much presence as a NSW forward pack at Lang Park last Wednesday or they cancel each other out or they were in the vicinity of the brewery when the beer was made. Take your pick.